Experience the world at its best on ATW Mini Teen Tours. ATW’s Mini Teen Tours offer you the opportunity to make new friends and share new experiences as you travel from Monday to Friday, then spend weekends at home. There are 3 two-week Series to choose from. You can pick just one or combine more series for a longer summer experience. 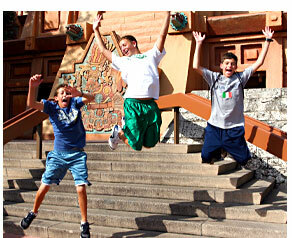 Our Mini Teen Tours are supervised by experienced teen tour leaders. Each hotel you stay at is carefully selected for its exceptional location and facilities. Spend this summer making “friends and memories that will last a lifetime” on an ATW Mini Teen Tour.